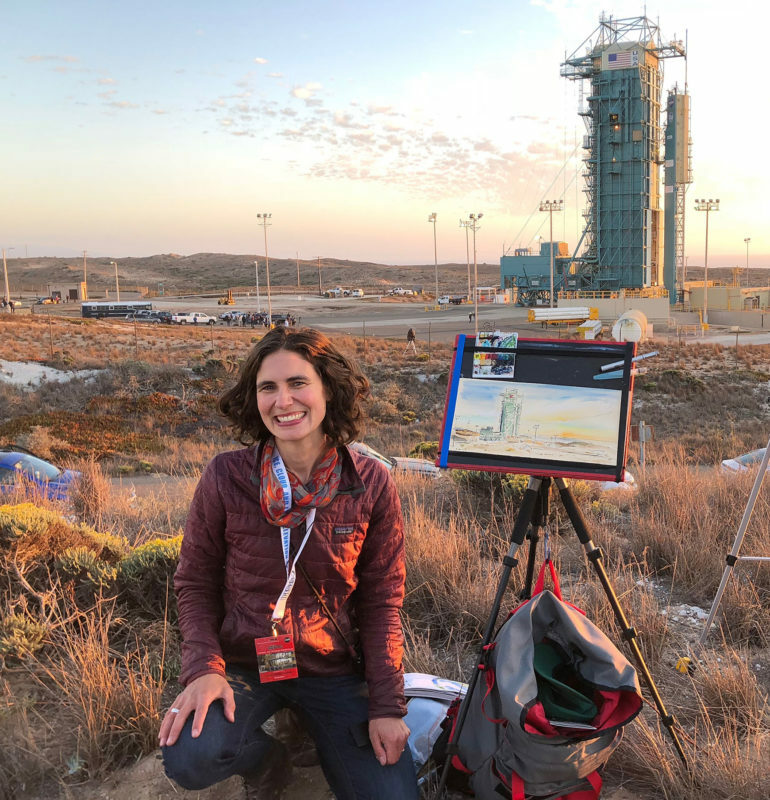 This September, I traveled to the Vandenberg Air Force Base in Southern California to attend NASA’s launch of the ICESat–2 satellite and the last launch of the Delta II rocket. The satellite contains the ATLAS (Advanced Topographic Laser Altimeter System) instrument, which is an amazing laser system designed to measure ice and the earth’s biomass with unprecedented accuracy. 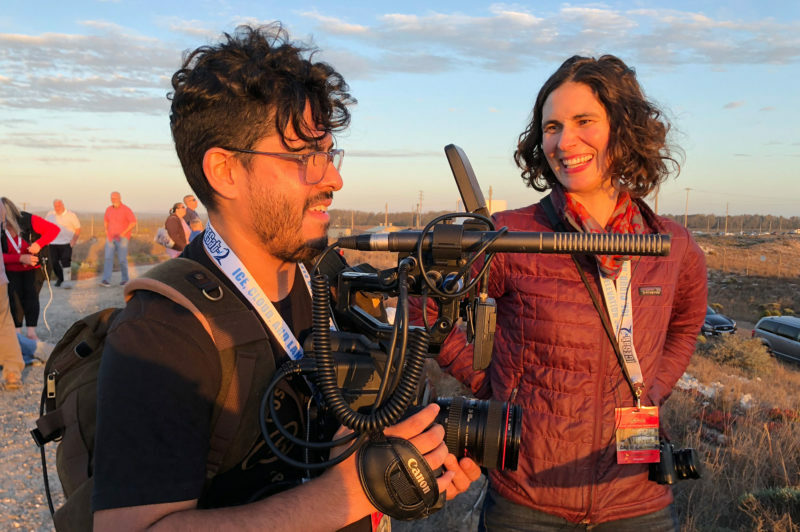 As a participant of the NASA social program, I met a wonderful group of NASA enthusiasts, and together we talked with mission scientists and engineers, toured the launch facilities, and finally watched the rocket launch. It was an exhilarating three days during which I sketched constantly. I’ll be sharing more of my sketches in a series of blog posts, but in the meantime I invite you to watch this short story one of the other social members, Philip Cisneros (PhilGoodMedia) created about my work at the launch. Thank you to the whole NASA Social team for this amazing experience and special thanks to Phil for helping record my story! I have a series of locally printed 5″ x 5″ archival giclée prints! Announcing a special shop for April 2018 with daily updates.